Kitties for my birthday. | MEOW hear this! It’s my birthday! I’m thirty-one. I have officially been old enough to drink legally for TEN YEARS. My god, that thought is horrifying. I remember how far away 21 seemed when I longed to be able to buy my own beer, and now I’m 10 years from that on the other side. If you’re wondering why I’m writing a blog post instead of doing something fun and exciting to celebrate, it’s because it’s miserable outside. The weather is always a little flaky on my birthday but it’s not usually outright COLD. And it’s cold. Sunny, but windy and and cold. And since I’m still expelling an ungodly amount of mucus, I’m not willing to suffer through it for even a spring training baseball game, which the boyfriend lovingly offered up even though his back’s all screwed up and I know he isn’t impressed with the weather either. Now that I think about it, it was really windy on my birthday last year too, but it was HOT. I passed up a beach day because of the wind since getting sandblasted is NOT fun (I was also really hungover). So I’m here with the boyfriend, who is laying in bed with his bad back, and the kitties, who are sleeping on the couch next to me and in the cubby hole of the cat tree. The boyfriend took me to get vegan pancakes this morning only for us to discover that the place serving the vegan pancakes is in fact no longer open. It was a truly lovely thought, though. And he got me vegan cupcakes! 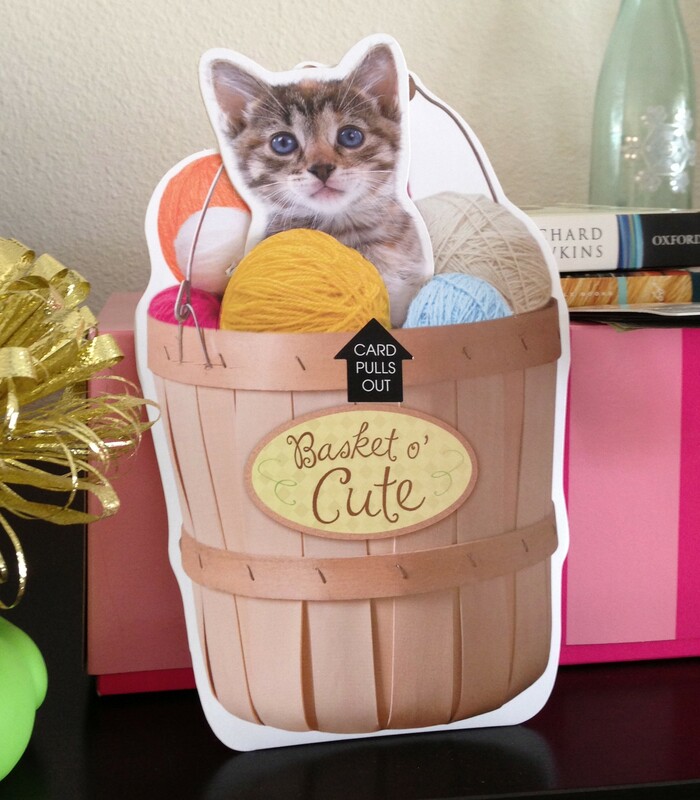 Apparently everyone knows what I like, as most of my cards are cat-related. One meows the birthday song, which confused the hell out of the boys. Searching all over for the singing kitties. I also got this amazing book, I Could Pee on This. 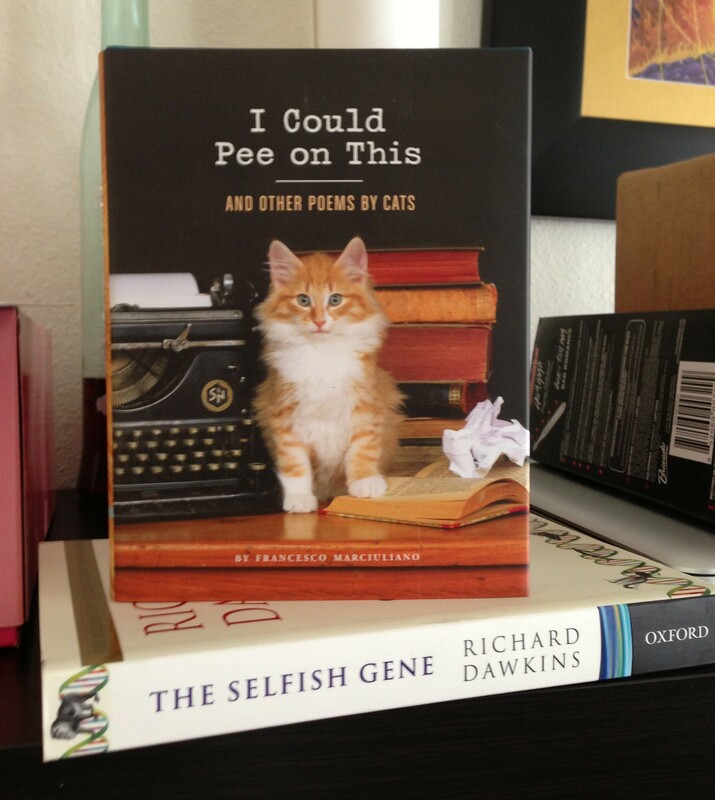 I also got a Richard Dawkins books, of which the title could ironically also refer to cats. Poems by a cat. I assume they were dictated to a human. I had fun annoying the boyfriend while reciting some of them to him. Highly amused. Except for the stupid weather, I feel loved and adored in my advanced age. I’ve had well-wishes and presents from all over, particularly on facebook, which makes one feel rather popular. Tonight I will drink with some friends and will attempt some sort of moderation, as hangovers have only gotten worse for me the older I get. We’ll see how that works. Happy purrthday! Enjoy your special day! 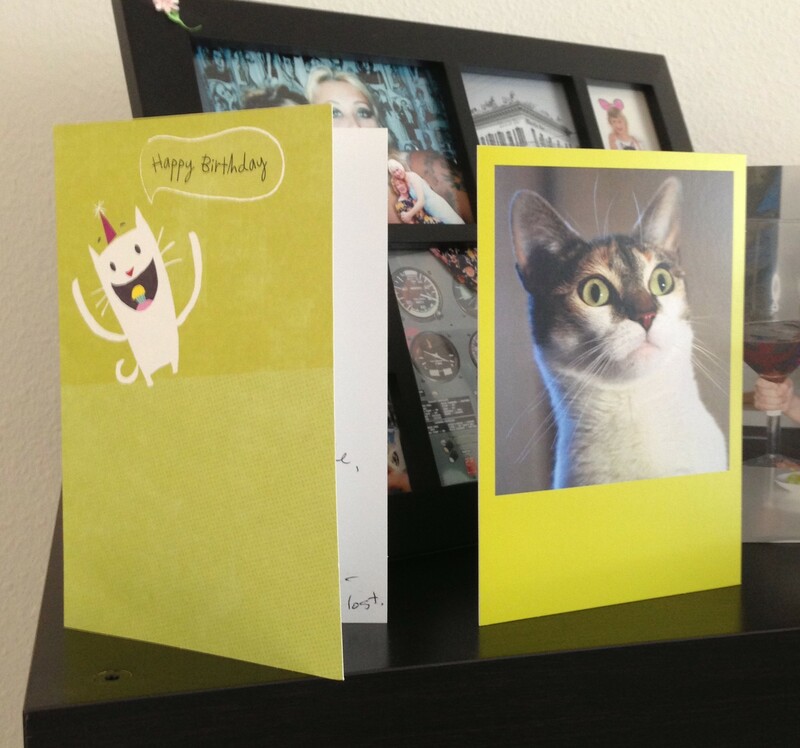 Meowppy birthday! I love I Could Pee On This by the way. It’s my cat’s second favorite book but he’s a puker so somewhat confused by peeing on things. Hahaha aren’t they all? And thank you! Happy Birthday! Love the book. 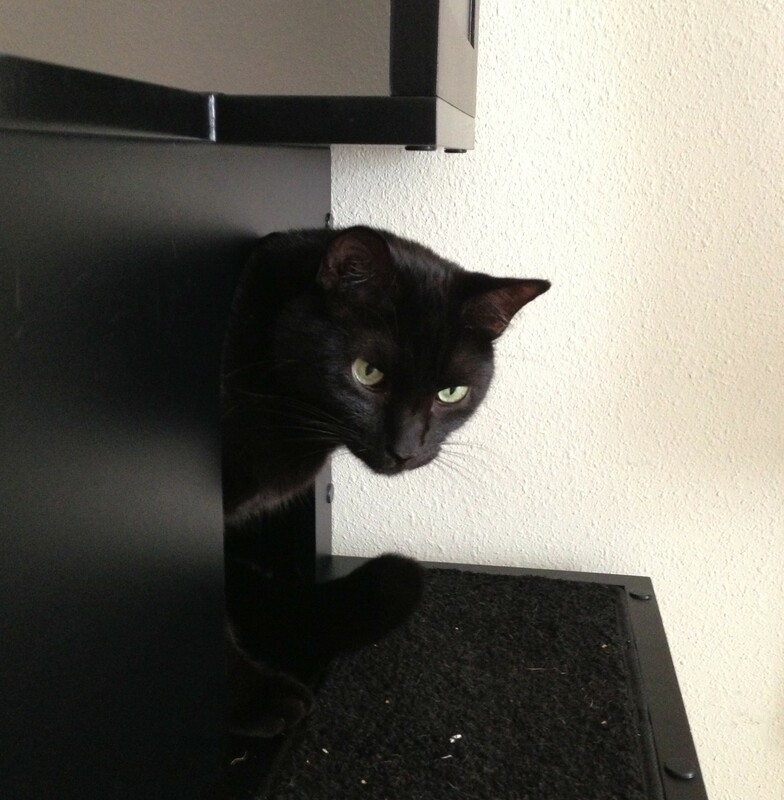 And the black kitty in the cat tree. He likes it! Thanks! 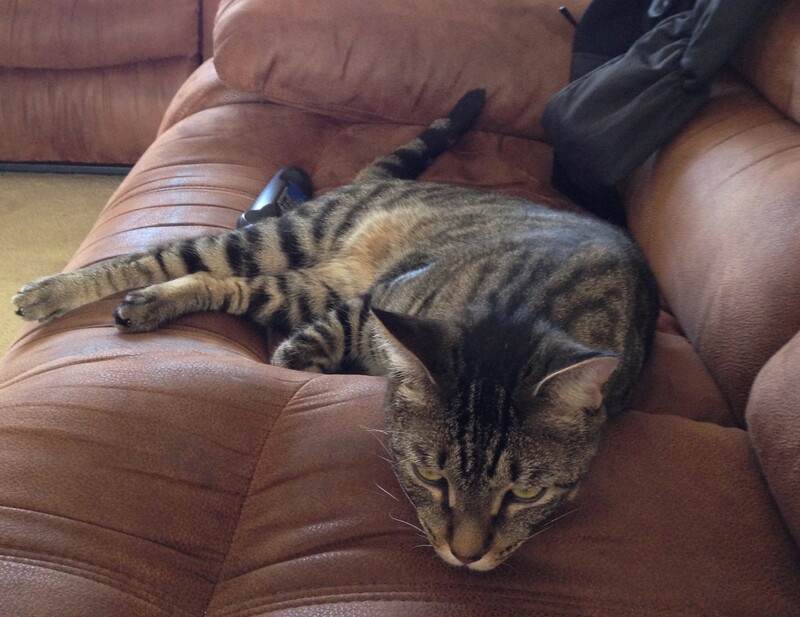 Yes, they both seem to mildly enjoy their furniture, although not as much as being in my face.